Have you ever wondered what SAP HANA is doing from the moment you trigger the start or restart until it’s finally available to be used by your application layer? 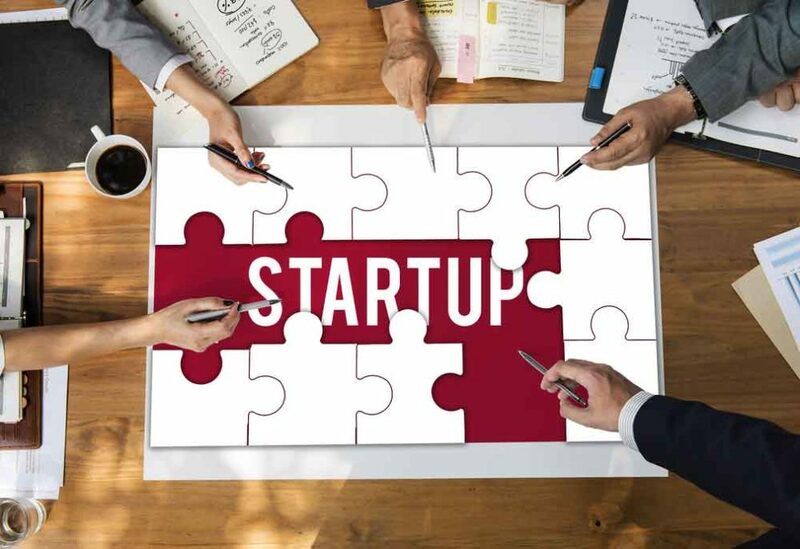 Or perhaps you have experienced a startup that has taken your system way longer to be available than you have planned for, and you are trying to understand, what it was doing all this time to avoid it, improve it or plan for it next time? Let me try shed some light on this, as the better you understand which factors influence the startup time, the better you can judge and influence it or at least take it into account. When starting SAP HANA, as a very first step, the daemon service is started. The daemon is a lightweight service that sets the environment variables required by the remaining services (nameserver, indexserver, scriptserver, xsengine, …) and then starts them in the correct order. Services which have a persistence (e.g. nameserver, indexserver, …) need to open their volumes. Before the volumes can be opened, the corresponding filesystems need to be made available to the right servers at the right mountpoints. Taking care of this task is not part of the single services’ job. Instead, if you are using the SAP HANA Fiber Channel Storage Connector, it’s the nameserver service, that mounts the data and log volumes for all services. If you don’t use it, you need to ensure that this task is accomplished, before the single services attempt to open their volumes. Opening a volume basically means obtaining a file handle for it and hence we are talking about milliseconds or – at most – seconds. Any delay beyond this magnitude is usually caused by reservation conflicts or other storage-related issues. i PhysicalPageAcce DataVolumeImpl.cpp : Open volume file(s) in "/hana/data/SID/mnt00001/hdb00003/"
Now that the volumes are open, basic low-level persistence structures are loaded from disk. As these are kept in memory in a structure very similar to the one stored on disk, no time- or resource-consuming conversions are required. Instead, the duration of this step is mainly I/O bound. 1. The anchor and the restart page are loaded. To HANA, these are something like the master boot record is to an operating system. 2. Converters and container directories are loaded. 3. Undo files are searched for information on transactions that have not committed before the system shut down. Don’t be fooled by the fact that the traces refer to sessions rather than transactions – it’s uncommitted transactions. 4. HANA persistence statistics are loaded and initialized. i PersistenceManag PersistentSpaceImpl.cpp : loadContainerDirectories - done. As of HANA 2, packed LOBs are available. Among many other optimizations, packed LOBs use an optimized persistence structure which allows faster LOB handling during startup and thereby decreases the time spend in this second step. For as long as the system is up and running, the row store is kept in shared memory, owned by the corresponding HANA service operating system process. During shutdown, this shared memory would normally be released back to the OS, while, during system startup, a significant part of the overall startup time would have to be spent on loading the row store into memory again. How long it takes to load the row store into memory again depends – of course – mainly on the volume of row store tables in the system, but quite often this step turns out to be a main contributor to the overall startup time. To save this time, there’s an optimization which, if certain conditions are met, allows to keep the shared memory containing the row store in memory despite restarting the corresponding service. Long story short – given a handful of conditions are met, it’s possible to keep the row store in memory despite a service/system shutdown and to reattach it to the owner service at its re-start, making loading the row store from disk during startup redundant. If any condition isn’t met, keeping it at shut down and/or reattaching at startup, the row store will simply be loaded from the DATA volume in this step. Now that the row store has been reloaded or reattached, the row store needs to rollback all changes that have not been committed before shutdown. i Service_Startup Starter.cc(00422) : RS Undo log collection finished in 1.23 sec. i Service_Startup Starter.cc(00428) : Consistent RS data image has been prepared. i Service_Startup Starter.cc(00656) : RS uncommitted version construction finished in 1.23 sec. i Service_Startup Starter.cc(00548) : All Page lists rebuild finished in 0.123 sec. Just like the row store had to roll back all changes that have not been committed before shutdown in the previously explained step, HANA needs to do some cleanup for the column store as well. In this step, the garbage collector cleans up all version except for the most recent one for any column store table. As you know, the garbage collector continuously cleans up versions that are no longer required while the system is up and running – still – if the system is shut down at a point in time when a transaction is still open and has not been committed for a long time (hours, days, weeks, seen it all, …), there might be some versions left to clean up during start up. In HANA 1 this step needs to finish completely before it can continue with replaying the logs. With HANA 2, garbage-collecting obsolete versions is executed asynchronously. That means, it will allow the next step, replaying the logs, to continue in parallel. Now that the row store is available in memory, HANA replays the logs to redo all changes that were performed after the last savepoint. There’s no need to load all column store tables before replaying the logs – if any of the changes to be replayed in this step affect column store tables, the affected ones are loaded into memory on the fly. After successfully finishing the replay, all uncommitted transactions are rolled back. i Logger RecoveryHandlerImpl.cpp : Termination of 1 indoubt transactions was executed in 0.123 seconds; 0 remaining sessions. Now, it’s time that all services of a database synchronize with each other to ensure transactional consistency. This is a quick thing to do, so very little time is spent exclusively by this step itself – if it does take longer, then usually because one of the services which is part of the sync is still busy with steps 1-5 and not ready to sync yet. All changes that have been performed in steps 3 – 5 are now persisted to the DATA volume by a savepoint. ◈ The volume of changes during replay of logs phase. to none, a row store consistency check is performed as last step during startup. Usually, this check finishes quite fast and it’s limited to a maximum runtime of 10 minutes. If you’re confident to take good care of consistency checks while the system is up and running and feel safe to disable this quick check during startup to save the <= 10 minutes of time spent during startup, refer to SAP Note 2222217 to disable this check. i Service_Startup IntegrityChecker.cc : Checking rowstore consistency. Now that all the work is done, the SQL port is opened. Just like step the sync among the services, this is a very quick thing to do. If you really see issues that cause opening the SQL port to be delayed or to fail, it’s usually because another operating system process already occupies the port. To ensure that all HANA-related ports are reserved correctly, you can use the SAP Host Agent as described in SAP Note 2382421. As soon as the SQL port is open, your applications are, technically speaking, able to access the HANA system. Still, remember that not all column store tables have been loaded yet and that, depending on your experience with your system, you might want to wait for the column store preload to finish (or not) before restarting the applications that use your HANA system.